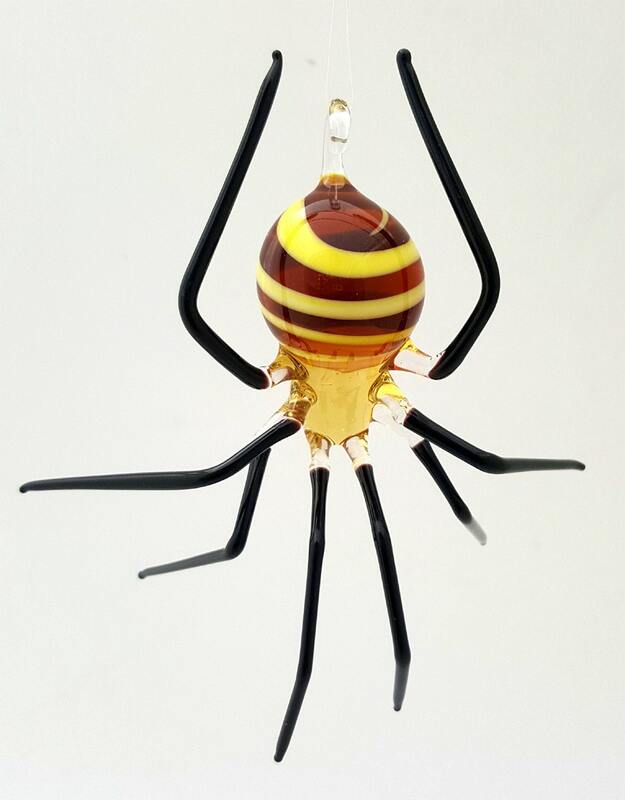 Handmade, lamp-worked glass Spider with yellow and black abdomen. Amazing! And shipped well and quickly. These are just beautiful and so fun.